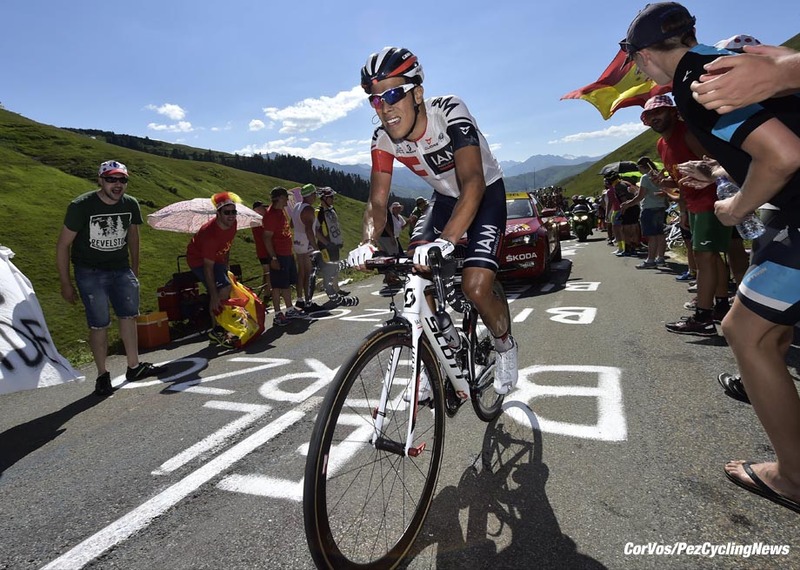 PezCycling News - What's Cool In Road Cycling : PEZ Crew Picks The TOUR’16 Best Moments! 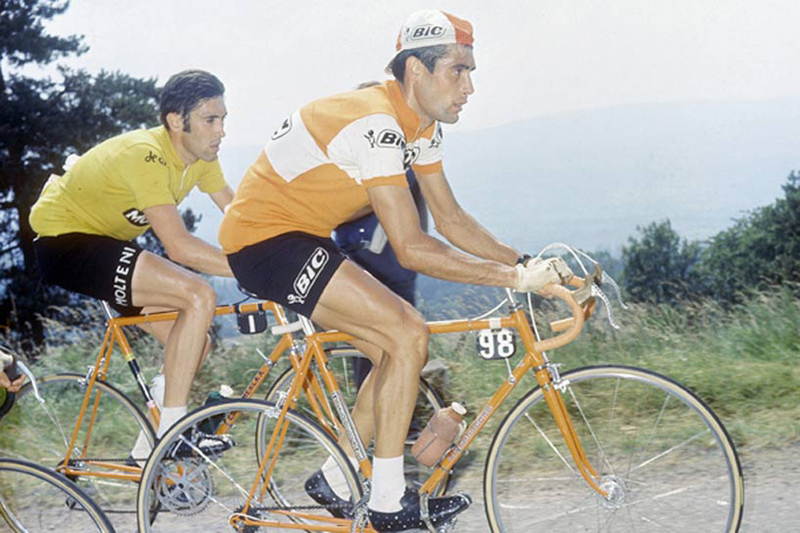 There are two Tours de France, there's the one where you're sitting on the sofa and the peloton ambles across endless fields and meadows whilst the desperate commentators witter on trying to sound clever/knowledgeable/amusing but failing miserably and making me think that if my old dad was still alive he'd be launching objects at the TV as used to be his wont. I mean, recipes? But there's the real Tour where you're in the car with the windows open, the barbecue smells waft in and everyone is picnicking as they smile and wave to you - and even the toughest looking cops give you a nod. The same Tour where you're following Big Ramunas Navardauskas up a mountain in the chrono with fans going crazy and the blasts of Europop streaming in through the car windows. Read Ed's Tour'16 Round-Up HERE. I wasn't overly enamored with this Tour, the lack of attacking intent was particularly disappointing and nowhere was that more evident than the Stage 15 to Culoz which was a classic case of a masterful piece of route design ruined by some defensive riding. However, this is meant to be my best bit of the Tour and for me that was stage 9 to Andorra Arcalis. The final climb may have been a main road leading to a pretty hideous ski resort and there was too much flat between each of the climbs but as the hail stones came down at the end and the headlights came on to guide the riders through the gloom there was an epic feeling that was missing from this Tour. Much like the rest of the time the Tour hit the mountains this year, the battle in the break was exciting and dramatic even if the GC fight behind resulted in just a handful of seconds being traded between the top 10. 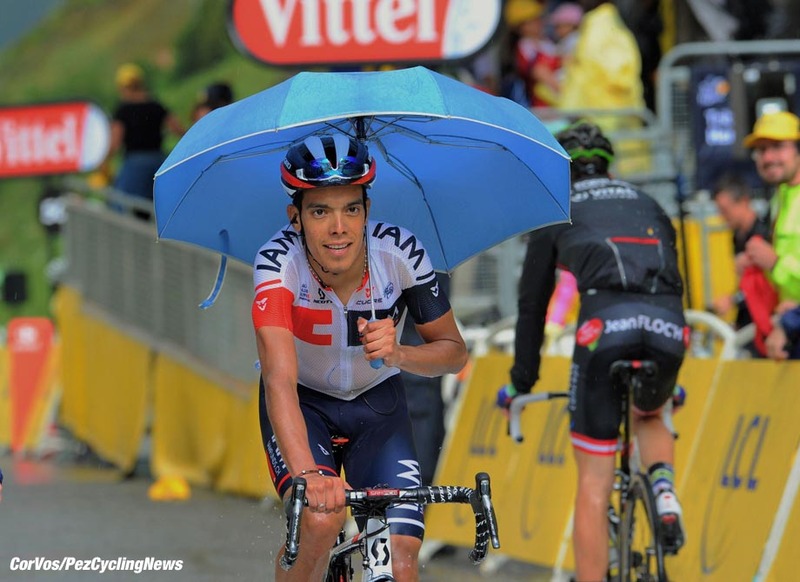 There was also some light relief as Jarlinson Pantano, the rider of the final week and arguably the rider of the whole Tour, crossed the line under an umbrella to guard himself from the golf balls that were falling from on high. I have to say that for me the GC race was really boring--you know when people get the most excited by Froome running up a climb without a bicycle it is not much of a race--but dividing the Tour into individual days there were some standout performances: Classics man Greg van Avermaet taking the Yellow Jersey on a climbing stage; Tom Dumoulin showing he can do more than time trial with a mountain stage win in Andorra; Jarlinson Pantano descending like an eagle to catch Rafal Majka on Stage 15 and then outfox the more experienced rider for the win; Cavendish back in form with four wins; Sagan (Everyone's Favorite Cyclist™) taking three stages and the Green Jersey but providing the most dependable entertainment over the three weeks. I also enjoyed Froome's downhill skills display and Adam Yates' impressive consistency but overall this was not a Tour for the ages. For sure TdF 2016 wasn't that kind of race we were expecting. An early exit by Contador, with Quintana well below his previous performances and Nibali already exhausted by the Giro, the Big One (Froome) was left alone to keep the standard of the race high. So, I can easily write that my favorite moment of the entire race was Montpellier when the two shining stars of the race (Froome and Sagan) went out together, surprising everybody else and fighting in a thrilling finale for the stage win. It was really amazing. Sagan is my pick as "man of the race": he was out almost every day even after he was undiscussed leader for the green jersey. 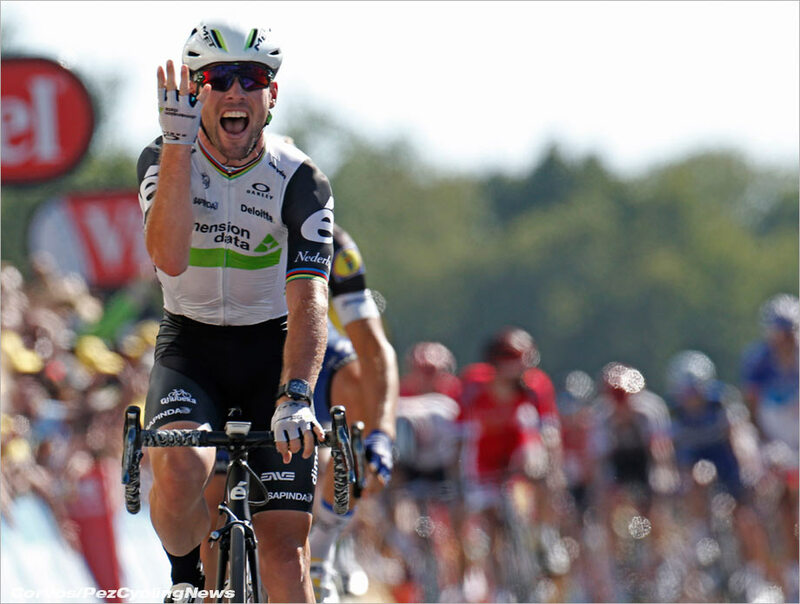 He showed all his class during stage 20 when he worked hard all day for the general standing of his team mate Kreuziger. What can you expect more by a World Champion? As Ed pointed out there are two versions of the Tour, and my post at PEZ HQ relegated me to the "watch it from afar" edition - tuning in each morning to see that stages unfold on the big screen with my toast and coffee. I did get to finally hear my 6 year old daughter declare "I want to watch the bike race with daddy" - although I'm pretty sure she was mostly there for the snuggling on the couch part of that arrangement. And while the GC battle was as disappointing to me as it was for so many other fans, nothing beats the 21 days of watching gorgeous French vistas fill my screen and fuel my travel plans - and that cranks to 11 when I see the race travel over roads I've actually ridden myself, like the Col du Saisies on stage 20. But for me the stand out of this Tour was Chris Froome's desire to win the race, which was in a league of its own versus all other competitors. Until now I've found his style too reminiscent of Lance to be fun to watch - but this year he showed some panache and style that really impressed me. His unexpected attacks, descents and flat stages were brilliant, his control over the peloton masterful, and the peloton's submission pathetic. His killer instinct was unmatched. No one came close to wanting to win this race as much as Chris Froome. Every move he made was designed to gain time, collecting seconds wherever and however he could. His calling a halt to racing so his teammates could rejoin after their crash on stage 12 to Ventoux showed just how much power he has, and how little the other teams wanted to win the race. This was their point of no return - their race was done. Froome's alpha-male post secured in the bunch. His run up Ventoux further exemplified just how into the zone he was. And that he got away with a blatant disregard for the rules by advancing his position on the course without his bike by what looked to be maybe 100-200 meters shows just how much power he wields with the ASO. Even the tv interviewer bowed down by not asking Froome what he was thinking when he took off sans bike. I'm pretty sure that's against the rules, friends - it is a BIKE race after all. How would it have played out if the he'd lost his bike within the last 200m of the line, and chose to run bikeless across the finish - would he have incurred a penalty then? That he was given the same time as Mollema was unfair to Bauke. And if the ASO can't arrange proper crowd control, they should stop stick handling these situations when they arise - fans on the race course are a part of this game, and while his crash was unlucky, and that his overall time did not suffer as a result - proves just how much control Froome has these days. He's the most deserving winner of this Tour - but I'm hoping some riders show up next year who are also there to win. It was only a little gesture, but it clearly meant a lot. You can lose the Tour de France all by yourself; as good as you might be, you sure as hell can't win it by yourself. The rain tipping down, and a front wheel slipping out on the white lines … the all-conquering Chris Froome on the deck on stage 19. Immediately, a black-clad swarm of Sky riders around him. Geraint Thomas calmly hands over his bike and pushes Froome on his way, back into the fray. And waiting just ahead, Wout Poels. When you have a Liege-Bastogne-Liege winner acting as your personal guide through the Alps, winning the Tour gets easier. Even when you've just had an almighty fright. Maybe it was the sight of Froome being towed so diligently that helped snuff out any thoughts of resistance from his rivals. 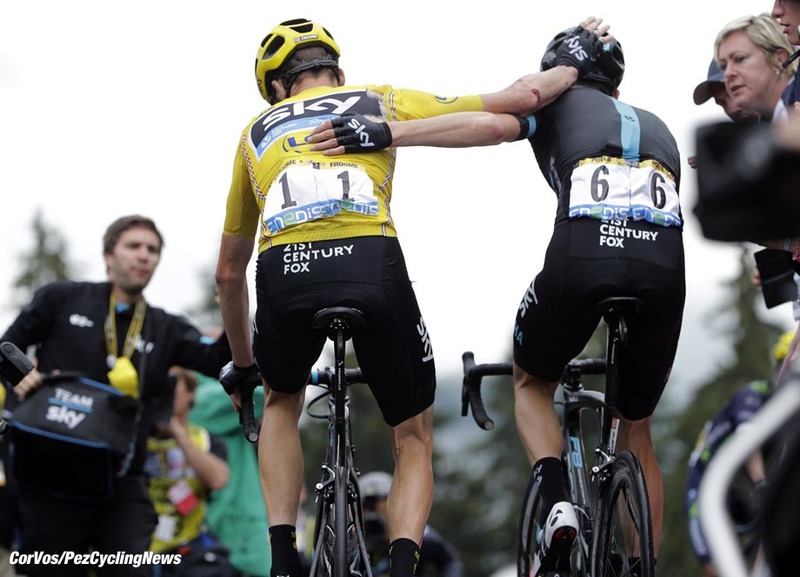 Crossing the finish line at Saint-Gervais Mont Blanc, Froome quietly draped an arm across Poels' shoulder. A little gesture, but one loaded with meaning. Every year, as the pressure build towards the Tour, journalists and tv pundits risk the wrath of the little sprinter from Douglas by suggesting in ever-increasing tones that his best days are behind him and that he no longer has the legs to beat the new kids like Marcel Kittel. And every year he struggles in the opening stages, as the journos get more and more excited and point to the sunset of his career. This year though he was in a happy place and right from the off he hit the line ahead of everyone else to claim his 27th Tour stage victory, and his very first shot of the Yellow Jersey. To say he was happy would be a complete understatement. And he followed this up two days later with no 28! And that wasn’t the end as he would get to line first on two more occasions and overhaul the great Bernard Hinault in number of stage wins in the process. Rare for an Englishman, Mark Cavendish is one of the most gracious winners in the sport and always pays tribute to the hard work and supreme efforts of his teammates. 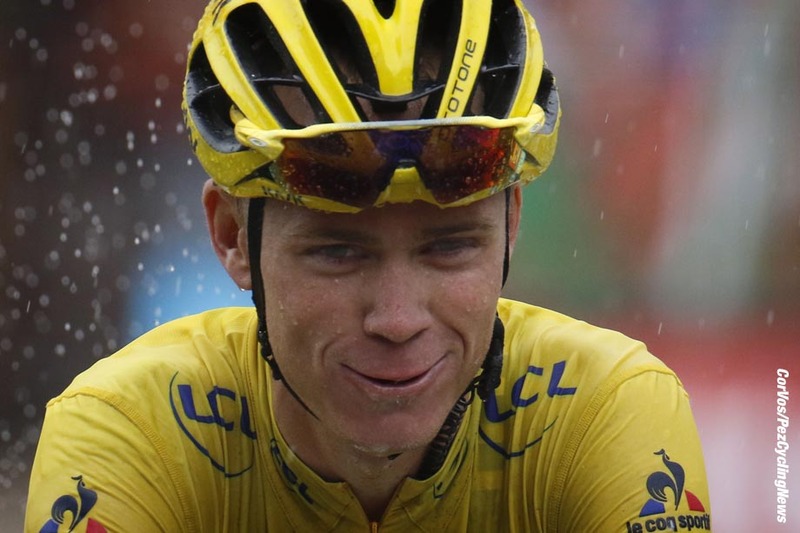 In fact, there may be a trend here as Chris Froome has also made a point of praising his teammates and this year has seen his popularity take a much-needed boost in the eyes of many fans. I desperately wanted to see Cav make it through the Alpes and take that win on the Champs Élysées but with a yellow jersey in his pocket now he has one major goal in cycling left…and he really, really, really wants that Gold medal at the Olympics (I was actually very happy to see Greipel finally get his stage win as I’d been cheering him on all the way through... after Cav of course). If (when) Cavendish takes Gold, the little Manxman will be so much higher than cloud nine that overcoming Merckx’s all-time stage victory record should come easily. And he’s just the guy to do it! Was it a good 2016 Tour de France? No, not unless you are a Chris Froome fan. Froome and the Sky team played a perfect Tour, they dominated when they had to and used others when they wanted, Froome made the most of two surprise attacks and won the important mountain time trial. Perfect really. The loss of Alberto Contador, the less than 100% Nairo Quintana and a weak or scared opposition played into the hands of Sky. There were some good points: Young Adam Yates was very close to the yellow jersey when the 1K banner fell on him and would have finished on the podium had he not had a bad day and maybe a better team in the mountains. Then there was the Colombian Jarliston Pantano, he enlivened the mountain stages and gave us hope for the future. Peter Sagan was, as always, the star of the show, where would we be without him? The Tour isn't all about winning, it has to be entertaining and the Sky method doesn't enliven the race. Attack early - get an overall lead - defend it to Paris and if you can get a few seconds here and there, all the better. All a bit US Postal/Discovery. 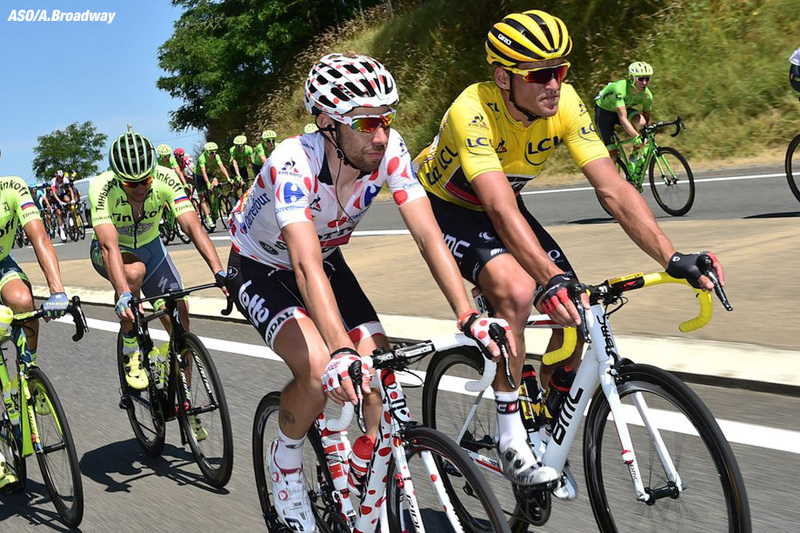 This year's Tour de France proved again that, from a sporting point of view, the Giro d'Italia and the Vuelta a España are better races. Vive la Tour! You can look back at all the PEZ 2016 Tour de France coverage HERE.